The Hopi people trace their history in Arizona to more than 2,000 years, but their history as a people goes back many more thousands of years. According to their legends, the Hopi migrated north to Arizona from the south, up from what is now South America, Central America and Mexico. 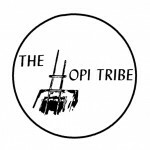 The tribe’s teachings relate stories of a great flood and other events dating to ancient times, marking the Hopi as one of the oldest living cultures in documented history. A deeply religious people, they live by the ethic of peace and goodwill. The Hopi Reservation, in northeastern Arizona, occupies part of Navajo and Coconino counties and encompasses approximately 1,542,306 acres. Having inhabited this high and dry area since the 12th century, the Hopi have developed a unique agriculture practice, “dry farming.” Instead of plowing their fields, Hopi traditional farmers place “wind breakers” in the fields at selected intervals to retain soil, snow and moisture. They also have perfected special techniques to plant seeds in arid fields. As a result, they succeed in raising corn, beans, squash, melons and other crops in a landscape that appears inhospitable to farming. Throughout the Hopi reservation, every village is an autonomous government. However the Hopi Tribal Council makes law for the tribe and sets policy to oversee tribal business. The Hopi villages are found at both the base and the top of three mesas dominating the landscape. These mesas project to the south from the enormous Black Mesa formation like fingers on a giant hand. The three villages lying on top of this mesa are Tewa, Sichomovi and Walpi, while Polacca sits at the base of the mesa. Walpi is widely considered the most spectacular of the Hopi villages as it is terraced into a narrow rock table. Old stone Houses appear to cling to the cliffs, overlooking an expansive view that is largely unchanged by the centuries. The three villages are Shungopavi, Sipaulovi and Mishongnovi. Most of the religious and ceremonial activities originate from Shungopavi, however Sipaulovi has the distinction of being the last village established after the “Pueblo Revolt”, the uprising that saved the Hopi from possible Spanish reprisal. Further west are found the villages of Kykotsmovi, Old Oraibi (considered the oldest continuously inhabited village in North America) Bacavi and Hotevilla. Moenkopi is where a branch of Old Oraibi was established as a farming village. Later, it became a permanent settlement. In addition to the mesas and villages, the Hopi people are internationally acclaimed as artisans. First Mesa is known for their pottery; Second Mesa is well known for coiled basketry. Third Mesa is renowned for wicker basketry, weaving, kachina doll carving and silversmithing. In addition to the scenery and arts and crafts, visitors are welcome to attend most public ceremonies to observe dances. Social and kachina dances are performed today as they have been for centuries. Be reminded that while on Hopi you are considered a guest. Photographing, recording or sketching of villages and ceremonies are strictly prohibited. It is critical that guests obey all rules and regulations established by the villages. There are no calendar dates for the Hopi, due to respect for each individual village. However, you may contact the community development offices (Monday – Friday) in each village for information on what ceremonies are open to the public and what is prohibited in that village. To inquire about receiving general information through the mail, you may contact the Hopi Cultural Preservation Office.